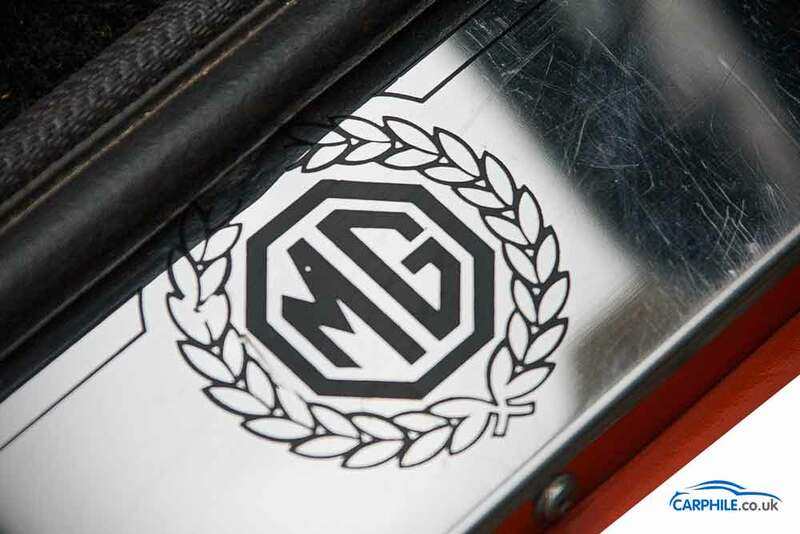 The MG MGB Mark 3 (GHN5) was launched in October 1969 and sold as 2-seat roadster and a fastback coupe. 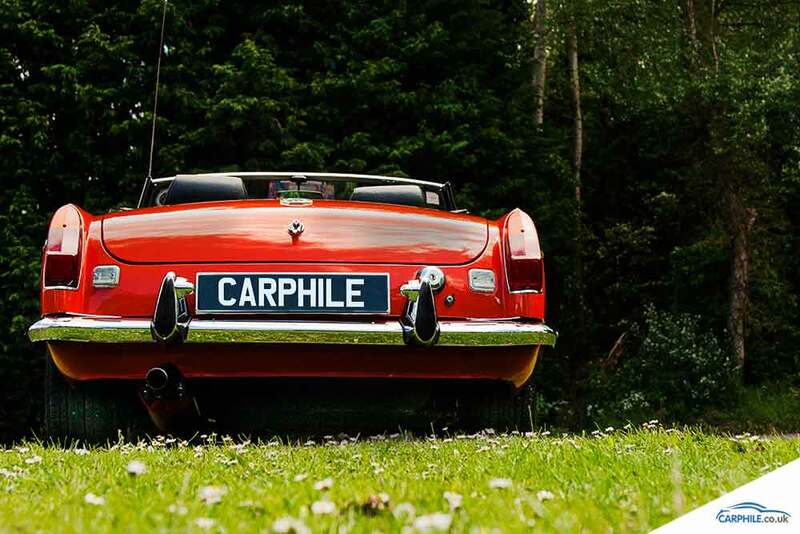 This model (nicknamed ‘Lady B’), finished in it’s original blaze colour, was built in 1972 and is in excellent condition having been meticulously restored in the early 1990s. 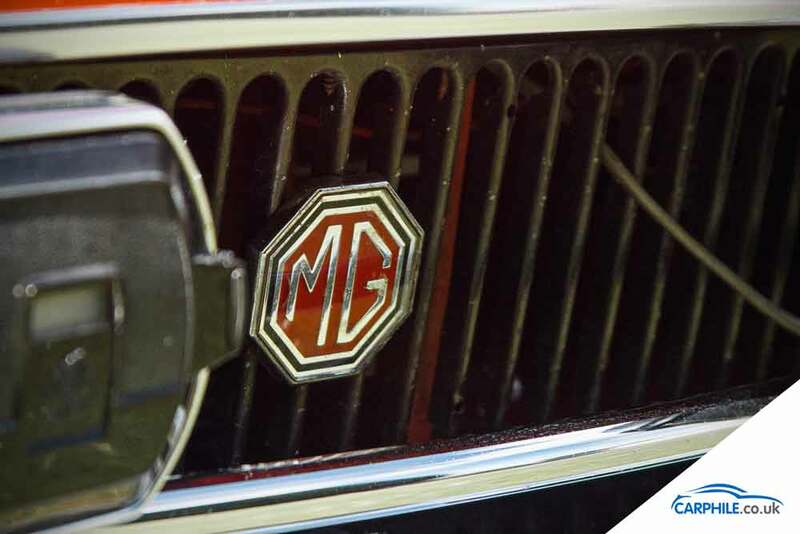 One of the less-popular changes among MG enthusiasts with the MGB Mark 3 was the replacement of the beloved chrome grille with the black recessed grille. This car features Lucas chrome spotlights which aren’t original but greatly improve winter-driving as the owner uses this MGB all year round. 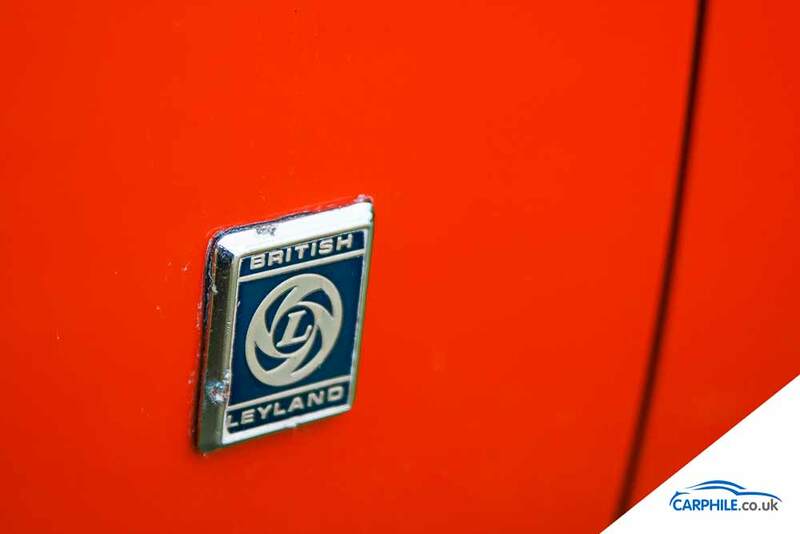 Another more discreet BL addition to the MGB Mark 3 was the British Leyland emblem on the front wings. 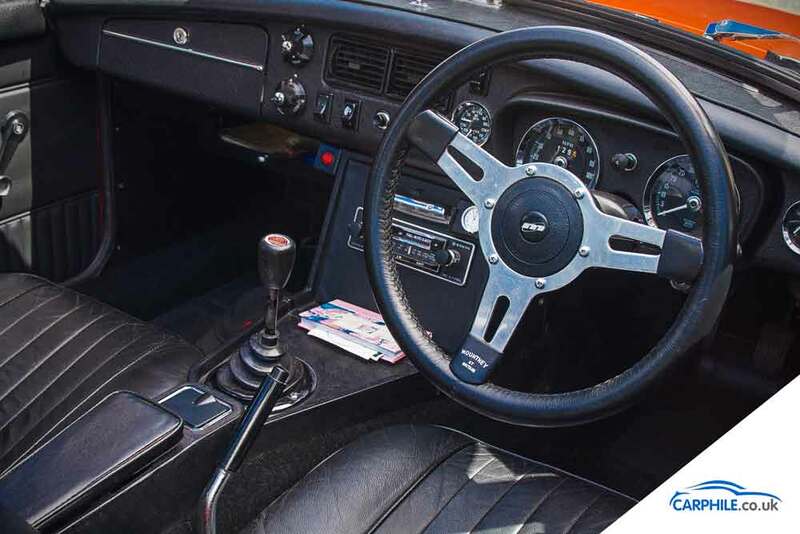 Inside the MGB Mark 3 received a smaller 3 spoke steering wheel, revised air vents on the dashboard and new vinyl reclining seats. 40+ years later vinyl isn’t everyones cup of tea and this MGB has had it’s seat, door trims and headrests re-trimmed in black leather. 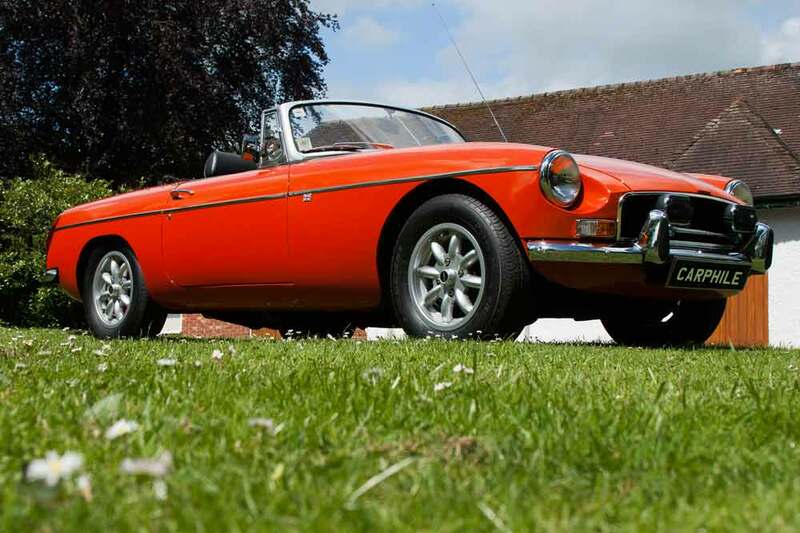 The MGB’s 1798cc in line four put out 95bhp@5400 rpm. The car could cover 0-60 in 12.9 seconds and go on to a top speed of 103mph. 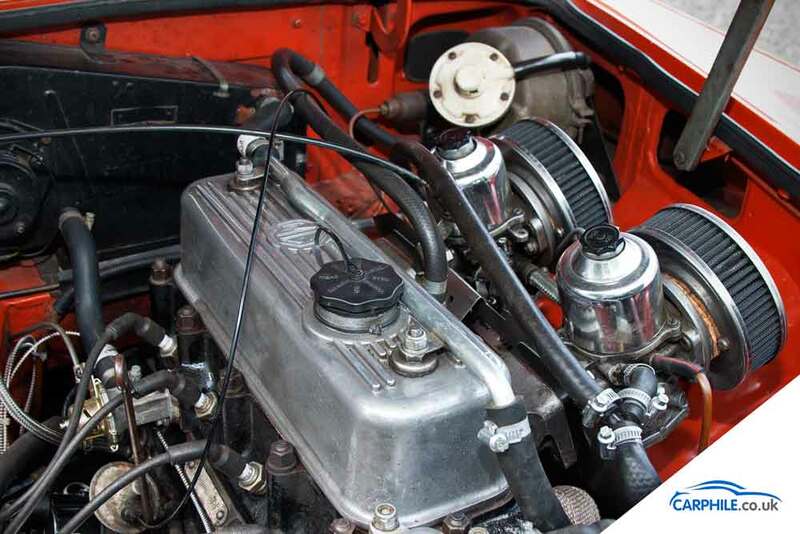 This car is fitted with twin SU HS6 carburettors with K&N filters. 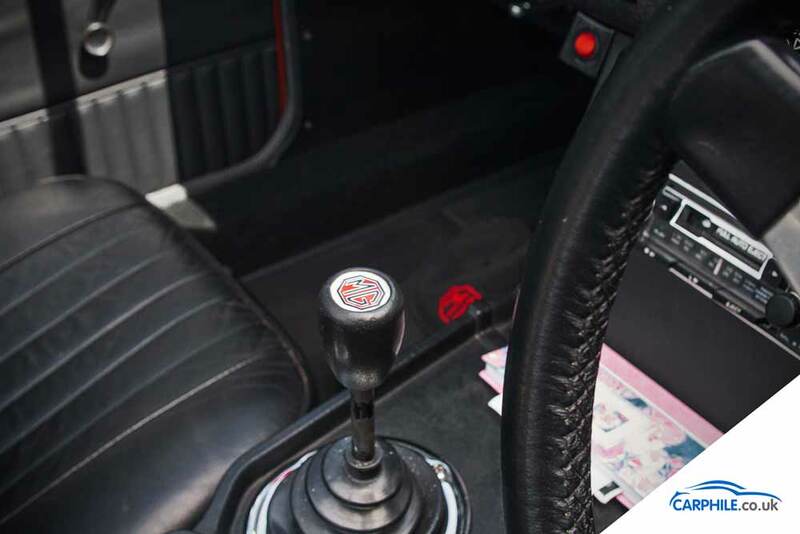 All Manual MGB’s were fitted with a manual gearbox. From the Mark 2 onwards there was synchromesh on all 4 gears. But if you preferred your MGB self-shifting, there was the option of an automatic gearbox (MGB Mark2 onwards). 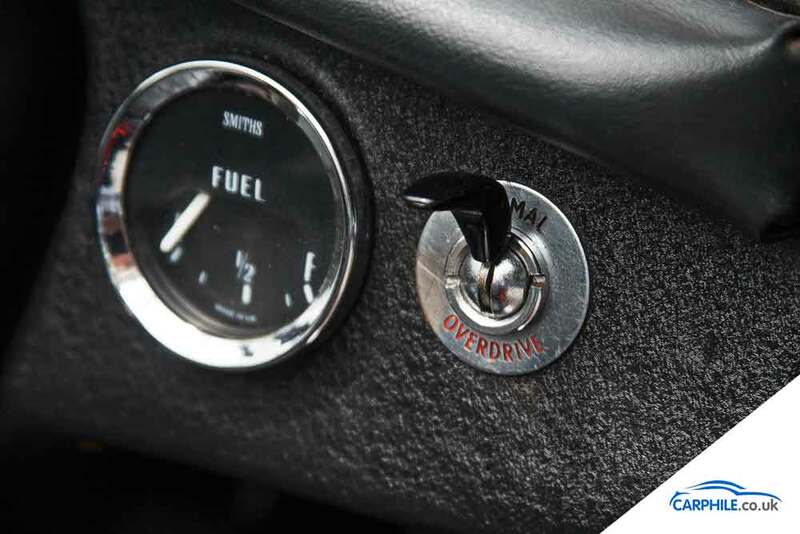 Overdrive was also a popular MGB option.